The farmers at Bratton Farms have always believed that food is not just what we eat, but what brings us together as communities. Located south of Nashville in Shady Grove, the family-owned operation has raised a variety of livestock and crops for nearly 100 years, and in the last several has become a superstar for its greens. During the spring and early fall seasons, customers can pick their own, filling baskets with collards, mustard greens, kale and turnip greens. 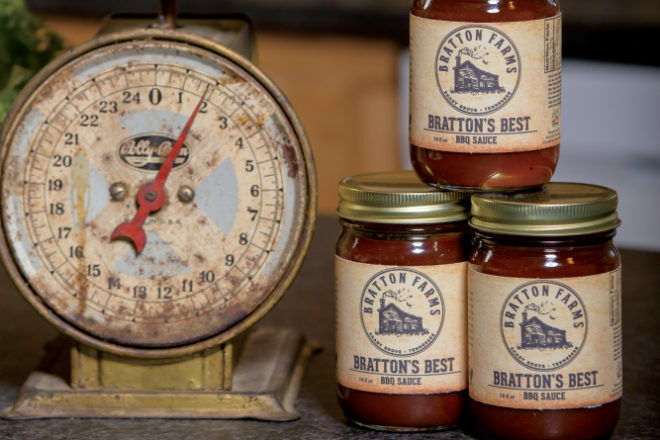 Along with fresh produce, Bratton’s offerings also include their delicious barbecue sauce. Though he has since passed, seventh-generation farmer David Bratton had a passion for barbecue and worked hard to create the perfect blend of spices to make his delicious sauce, which his wife, Bonnie, now sells. The finger-licking-good sauce is sweet with just a kick of spice. It’s available for purchase at several retailers throughout Middle Tennessee. 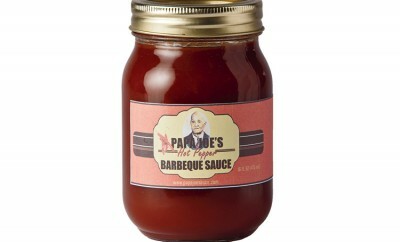 To learn more about Bratton’s Best and find where the sauce is sold, visit brattonfarms.com. The fourth grade classes of David Crockett Elementary School in Lawrenceburg, TN are putting together a silent auction basket featuring products manufactured in Tennessee. In our “Pick Tennessee” basket, we hope to include products or promote business from our state. We are reaching out to TN businesses in hopes that you will consider sending samples of your products or promotional items (hats, t-shirts, mugs, etc.) that we can include. We will also include any pamphlets, business cards, or ads you send to advertise Tennessee products. We will need this by November 12, 2018.